We are always looking for quality homeschool science books, and Wonders of Creation has long bee a favorite. We were using the Ecology book this semester for my kids. The Astronomy one is set up very similarly, making it easy for me to know how best to utilize it with the kids. 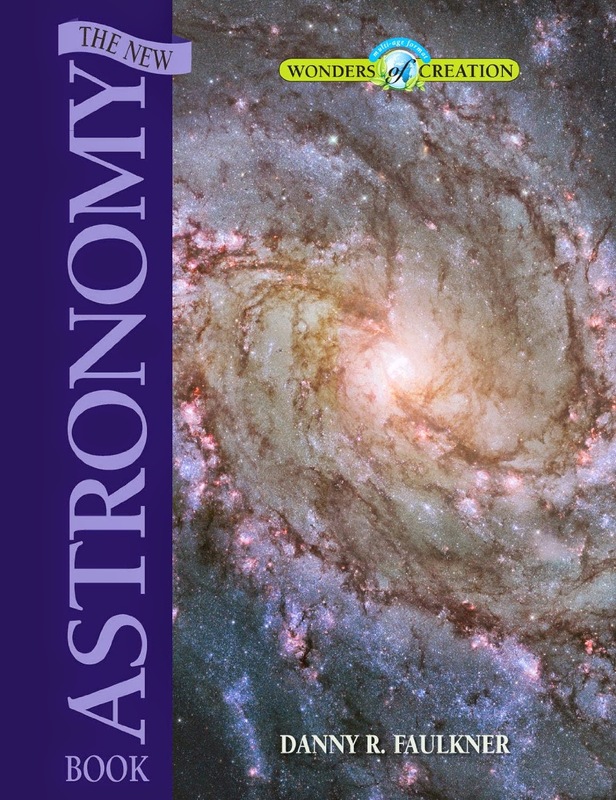 The New Astronomy Book from Master Books is no exception to the great products that come from Master Books! I have not seen the 'old' version of the book, but let me tell you, this 'new' version is outstanding. "The universe is an amazing declaration of the glory and power of God! Beautiful and breathtaking in its scale, the vast expanse of the universe is one that we struggle to study, understand, or even comprehend in terms of its purpose and size. Now take an incredible look at the mysteries and marvels of space in The New Astronomy Book! Includes a 24-inch, full-color, pull-out poster!" As a homeschool mom I find it vital that each of the subjects we learn, point us back to our Creator. It is so easy to get 'sucked' into the ways of the world, and to let other models of science creep in on your learning. Gazing at the stars, we know for sure that our Creator lives and has done awesome things. I love how this book brings us back to our Creator and the awe of Him! I love how we can utilize this Astronomy book on several levels of learning. Developed with three skill levels in mind, the pages are color coded in blocks to represent the various learning levels. Level one is in an off white background and is geared for the basic, early learner. Level two is on purple and is developing deeper learning for the middle level aged children. . Level three is on a blue gridded background and is for the more advanced student, inspiring additional learning and research. As we did for the Ecology book, we downloaded the Study Guide to go along with our study. This just made it easier for me as the teacher to divide the book up into days and organize a little better what we would be studying. Join the Moms of Master Books for a Facebook Party on Sept 30th 7 pm, to talk about The New Astronomy Book. Link to the party coming soon. Be sure to stop HERE to see all of our reviews.